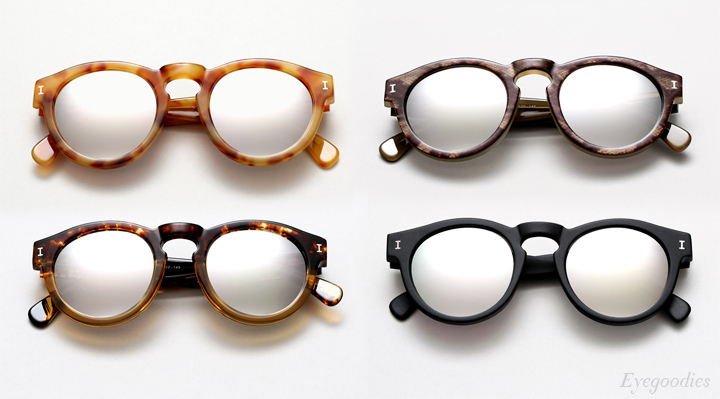 RetroSuperFuture and The Andy Warhol Foundation for The Visual Arts join forces to bring together Andy Warhol’s original artwork and SUPER’s distinctive designs. 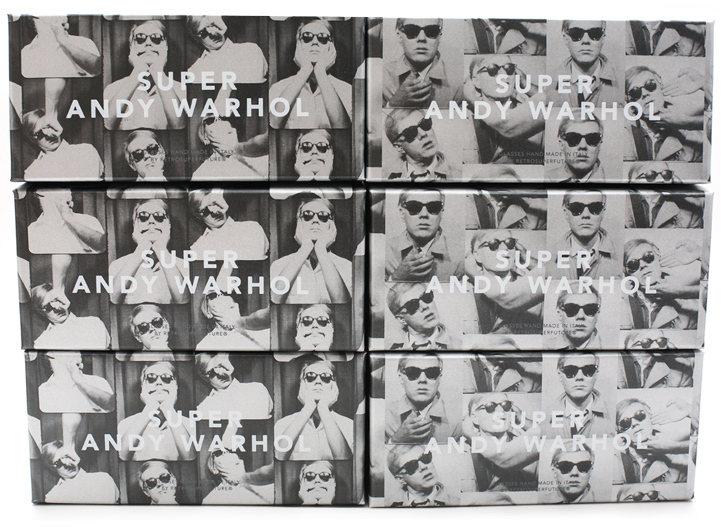 For this limited edition collection of artsy eyewear the designers have chosen an original series of art from Warhol’s “Photobooth Self-Portrait”. 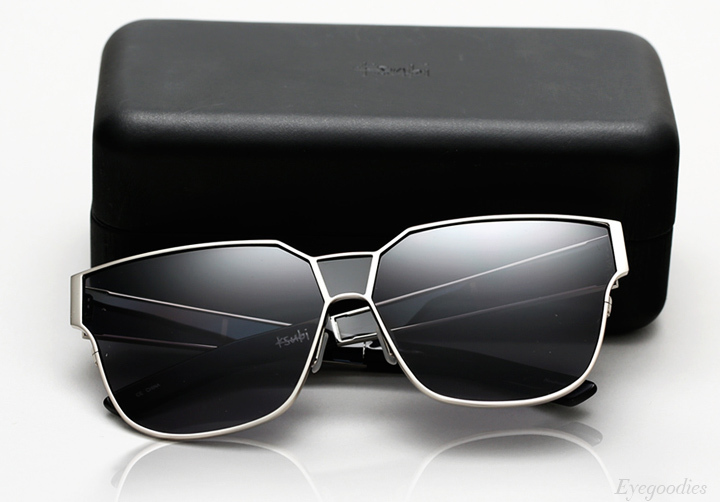 The front of each sunglass is rendered in a sleek metallic grey acetate, while the inside features a collage of different artwork on a monotone silver sheet, reminiscent of the old silver gelatin prints used in film photography. The collection is topped off with Carl Zeiss black lenses, silver hardware, and Andy Warhol’s signature engraved on the inside of the frames. Each frame comes complete with a matching printed box, and special edition carrying pouch and cleaning cloth to commemorate the collaboration. We are proud to welcome to the site Vintage Frames Company by Corey Shapiro. 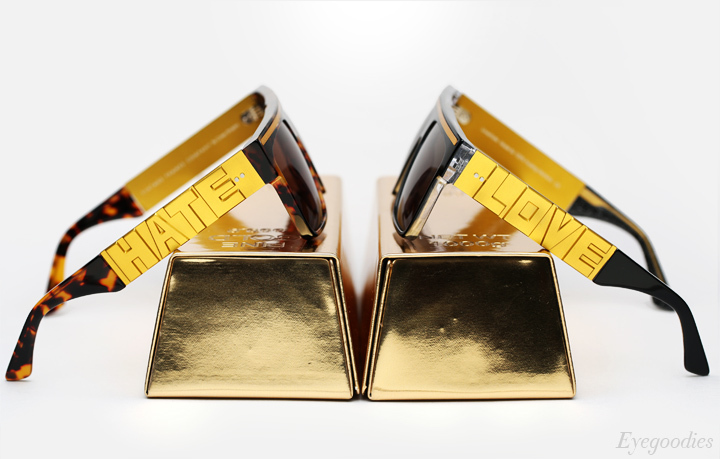 Kicking off the inaugural collection is an editorial worthy frame, fittingly entitled “Love/Hate”. Featuring sharp lines and brash detailing it chronicles the opposing forces of Love and Hate, a throwback to Spike Lee’s 1989 classic “Do the right thing”. Every frame is handcrafted from Italian Mazzucchelli acetate, with Japanese hardware, and Zeiss lenses for superb optics. Also worth noting each frame comes packaged in a metallic gold sunglass case resembling a solid gold bar – a nice touch. Flashes of silver and gold set the stage for the new set of mirrored lenses from New York based ILLESTEVA. Their signature and flagship Leonard sunglasses are now offered in a series that juxtaposes classic Italian acetates with futuristic silver mirror coated lenses resembling liquid mercury. 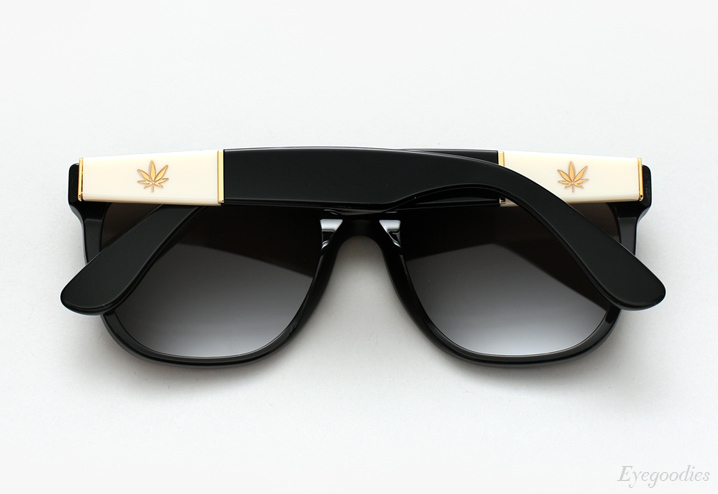 Also just released is matte black with “Golden Bronze” mirrored lenses.